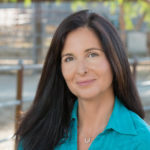 Angie Sheer is the Founder and Executive Director of Equus Medendi. She studied at MRILC under the direction of Monty Roberts, the original “Horse Whisperer”. 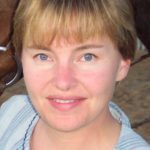 Angie is an EAGALA (Equine Assisted Growth and Learning Association) Certified Equine Specialist as well as a Trauma Resiliency Model Trainer certified by the Trauma Resource Institute. Susan Lilly, LMFT, LPCC, a Licensed Marriage and Family Therapist and Licensed Professional Clinical Counselor, received her M.S in Counseling from CSUF in 1992. She studied Somatic Psychology at SBGI focusing on the Neuroscience of relationships and, Trauma Recovery. Susan has served as Vice President and Clinical Director of Equus Medendi since 2012 and is also certified by EAGALA. Grace Mundaca, is currently working on her Master's of Social Work degree at the University of Southern California. She was a member of the California Army National Guard for six years and deployed to Iraq in support of Operation Iraqi Freedom in 2008-2009. She hope to use her experiences and knowledge of trauma, adversity, and resilience to bring about healing and change to at-risk youth and military families. Erin Mancha, MA, LMFT has worked with youth, families, and youth service agencies for the past 15 years. She has 12 years of experience serving on various Boards of Directors. She is a certified facilitator through the Institute of Cultural Affairs in group facilitation methods, and strategic planning. She has consulted for non-profits and conducted trainings in staff development, program development, board development and strategic planning. 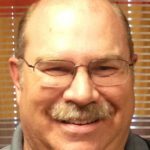 Fred “Bo” Dunning , LMFT has been a Member of our Board of Directors since 2013. He received is M.A in Counseling Psychology from Argosy University for the main purpose of working with Veterans and their families. He retired from the US Air Force in 2004 and is a Desert Storm Combat Veteran.